Brian has presided over Thompson Flanagan Executive Liability Group since its founding in 2005. His group handles all lines of insurance (Management liability and Property & Casualty) for their clients. Since its inception, they have focused heavily on the needs of middle market private equity firms and their portfolio companies. In addition to providing superior policies to their clients, they also provide comprehensive due diligence services for their PE clients. The firm has steadily grown since its inception primarily due to their experience, attention to detail and the depth of talent. Prior to joining Thompson Flanagan Executive Liability Group, LLC, Brian was a Senior Vice President with Marsh within their FINPRO department. From 1995 to 2000, Brian was with Marsh in their New York City Office brokering Directors & Officers Liability; Employment Practices Liability; Fiduciary Liability; and Crime Insurance on behalf of Financial Institution clients. In 2000, he was transferred to the Chicago office where he continued to broker business for large Financial Institutions clients. In addition, he assumed a leadership role within the FINPRO department managing various operations. 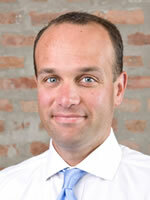 Prior to his departure, he managed the three teams that comprised the FINPRO brokerage operations in Chicago. In 1995, Brian graduated from the University of Notre Dame with a Bachelor of Arts degree.